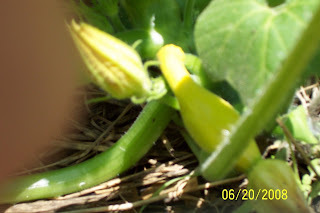 Striving to Abide in Christ: My Garden! Anyone want to compare gardens? I am really happy with mine so far! As long as nothing catastrophic happens then we should be eating pretty good this summer and hopefully be able to put plenty away. At least of tomatoes! Everyone knows they are the best thing anyway! So here are some pictures taken about a week ago, I think. The first picture has our new family member in it, that is Daisy. She's not actually new though, she's been with us for about 2 months. She needs some training but she is coming along! She is the responsible party for chewing everything in our yard and making our yard look terrible! Plus we haven't figured out where to put everything as of yet. We moved from 9 acres with a two car garage, a two car shop, a barn (if you could call it that), a grain bin, and a house that had room to spare. So you get the idea! 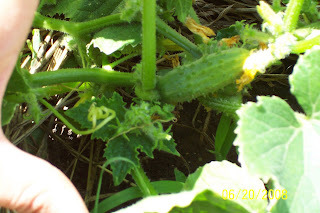 Also since the pictures I have picked 3 cucumbers! Yeah! They were so good! There's our verse for the day! It always makes me stop and think about what I am sowing. In everything we do we are sowing whether good or bad. And God's word is true we will reap whether good or bad! WOW, your garden looks wonderful!! After the atrocious hail storm we had last night ... and another 6+ inches (?) of rain, our garden doesn't look so hot today. Keep in mind, too, that we got it in the ground only two weeks ago. (sigh) I *think*, and hope-hope-hope, and am praying, that not toooooo much damage was done, and that the little plants (2-3" tall) were strong enough to come back from their beating last night. :**( The jury's still out. This is the first year that I am "getting serious" about doing a large amount of canning, come late summer/fall. It's going to cost us just a little more than $100 to get started, but we're happy to invest that, knowing (heehee) what we will reap. We were just talking about sowing and reaping today in Chuck E. Cheese's!! Some friends took us there as a family, and the dad was speaking firmly with his daughter (who had misbehaved) about reaping what she sows. Amen! Did your garden make it through the storms today?? We had a lot of wind (90mph) and a few of our plants have blown down. Thankfully most still look good. A few are getting bad at the bottom from all the rain, however since we have them up on mounds, they at least are not sitting in puddles. My friend not too far from us (a few miles) got a lot of hail today (we had it yesterday, but it was not that bad). Her garden did not make it. It made me think of how not too long ago people totally depended on their gardens for a year supply of produce and grains! I am thankful we have the stores as a back-up, although with the rising prices .... sigh. 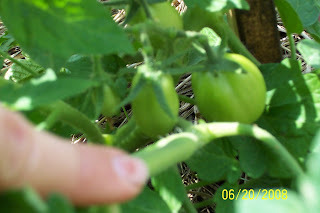 Here's 'hope' for the late gardener ... last year our garden got put in about mid-June and we harvested a lot of tomatoes and cucumbers. We were processing tomatoes for days. HOWEVER ... the tomatoes only lasted till about december! 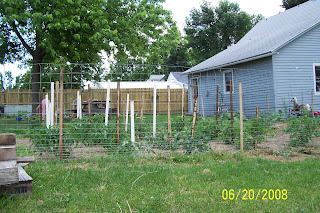 This year we planted 27+ tomato plants ... I assume that will last us much longer. Your garden looks great!! Our garden looks very, very weedy as our chief gardener is gone for the summer. 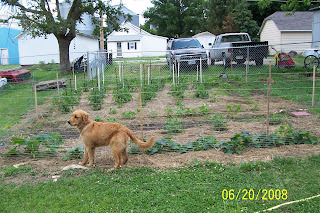 We're trying to follow the instructions he left, but he is much better at tending the garden then the rest of us!! You may not remember us, but our family has come to church with Stangls several times. I found your blog through the comment you left on the Ulmer Family blog, and of course wanted to visit your blog right away, because I remembered how fun, and encouraging you were to talk to at Katie Watterman's graduation/open house deal! I just wanted to say that I have been thinking of you, and would love to get to know you better! Your love for the Lord, and His ways sticks out to me in a glourious, and inviting way, and I am always strengthened to be around people who can challange, encourage, and spur me on in Him! On a different note I think Dasiy is a very pretty dog! I love golden retreivers! You will have to come out, and ride the horses sometime! Sorry I've missed all the action over here on your blog. I thought I had set it up with my e-mail subscription service, but I guess I never did. Well, it's added now anyway, so I shouldn't miss out on anything else. I guess can't compare gardens with you very well. :) All I know is hopefully my family will transplant the jalapenos soon. Cause I can't wait for them to start producing! Daisy looks like a good dog (if looks say anything). I hope you get her trained soon. Sounds like I can keep on praying for you all to get settled in your cozy little abode though, huh? The Lord bless you guys with health all around. 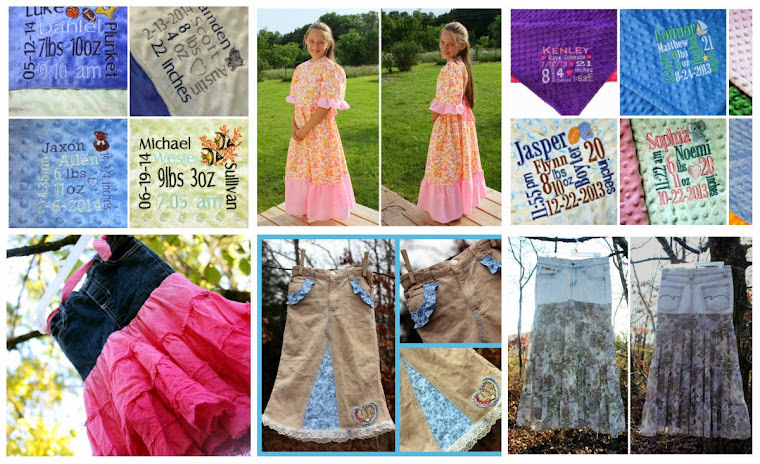 Keep on bloggin'!